NOVEMBER 6 THROUGH NOVEMBER 13, 2016. 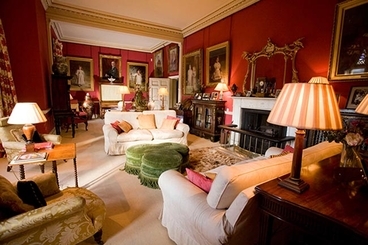 In 2016 we will have the incredible opportunity of staying at Carlton Towers in North Yorkshire. 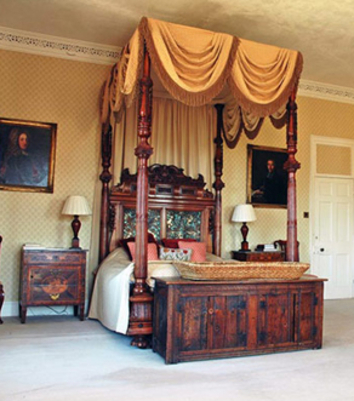 We will have exclusive use of the home, except of course for the private quarters of Lord and Lady Fitzalan Howard. We will be provided full breakfasts and dinners and will shoot both at Carlton Towers and Houghton Hall. Lord Manton of Houghton Hall has graciously offered us 2 days of shooting on his estate. It is hard to describe how excited I am about this agenda. Shooting will be done in the traditional manner, as done in the Edwardian era. If you have ever wanted to experience the grandeur of a true Victorian/Edwardian shoot, do not miss this Shooting Party. Carlton Towers is a Grade I listed Victorian gothic country house in Carlton North Yorkshire, England. The House was designed by Edward Welby Pugin and is the Yorkshire home of the 18th Duke of Norfolk, but is lived in by Lord Gerald and Lady Emma Fitzalan Howard. Lord Gerald is a younger brother of the current Duke of Norfolk. There has been a house dominating the village of Carlton since the Norman Conquest. It has been passed down by inheritance to the present Duke of Norfolk's family since the first recordings of Domesday. The present house began construction in 1614, and was extended in the 18th century and again in the early part of the 19th century. It's transformation from Carlton Hall into a house worthy of the title "Towers" took place from 1871 to 1877 and is the legacy of one man, Henry 9th Lord Beaumont. It was Lord Beaumont’s dream to create the greatest of all Victorian country houses; this he achieved with his architects, Edward Welby Pugin, whose father designed the interior of the Houses of Parliament, and Sir John Francis Bentley who designed Westminster Cathedral. 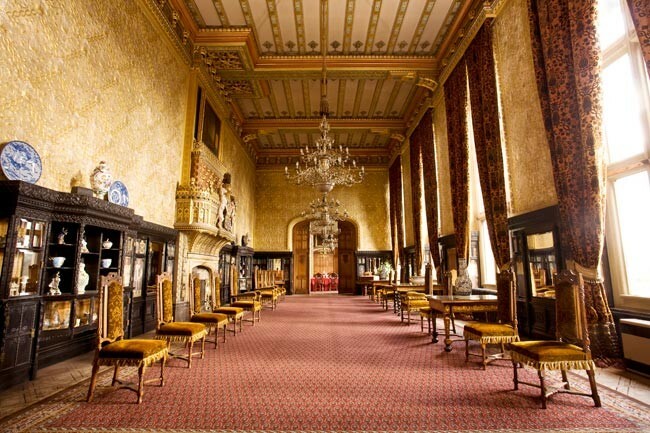 Today, it is thought to be one of the best preserved of Gothic Revival interiors. The house was used as the location of “Hetton Abbey” for the 1988 film version of Evelyn Waugh’s novel A Handful of Dust. It was also featured on “The Guest Wing”, a television program shown on Sky Atlantic in Great Britain, April and May 2012. The house was also used in the film “Like Minds”. Carlton Towers was considered for the filming of the popular TV series “Downton Abbey”, and would have been the first choice, but lacked an additional grand staircase for camera setups so Highclere Castle was chosen instead. 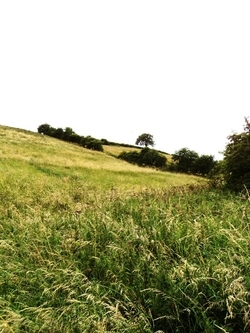 Carlton estate is extensively managed for partridge shooting and the encouragement of English grey partridge. Feed crops and cover crops play an important part of this planning, as do the mature hedges over which the partridge are driven. The estate has gone so far as to eliminate maze (corn) from the planting scheme, as maze crops encourage rat populations which decimate the wild partridge broods. Vermin control is the main trust of the game keeping plan, again to protect the wild broods of birds. Of course nature is in control of the wild partridge population, and though we hope to have a shootable number of English Grey’s, we will shoot mostly French Red Leg partridge. Shooting at Carlton is done in the traditional manner, which is becoming very difficult to find in the UK. The birds are driven over hedges; these are mature trees that are growing between fields. The birds lift over the trees and come streaming overhead. It will be fast snap shooting, the idea is to take them in front as much as possible. We have a wonderful opportunity to experience partridge shooting as it was done in the late 19th century, during the Edwardian period, the heyday of driven shooting in my opinion. We will have two 200 bird days at Carlton Estate, no overages paid. Houghton Hall, near Market Weighton, is a Grade I listed Georgian country mansion, set in a estate of 5800 acres. Located on the estate is the village of sancton and the remains of the ancient hamlet of Houghton. It was built circa 1765-68 by Philip Langdale to the designs of Thomas Atkinson and underwent minor remodeling in 1960 by Francis Johnson. The Langdales have lived in the area since at least the fourteenth century. On the death of Lieutenant-Colonel Philip Joseph Langdale, Houghton passed to his eldest daughter Joyce Elizabeth Mary Langdale, then the wife of Henry Fizalan-Howard, 2nd Viscount Fitzalan of Derwent. She was divorced in 1955 and re-married in 1956 to William Thomas George Wentworth-FitzWilliam, 10th Earl Fitzwilliam, and moved in with him at Wentworth Woodhouse, the largest private residence in England, and with his second seat of Milton Hall, Peterborough, the largest house in Cambridgeshire, also at her disposal, she may have felt little need to retain Houghton for her own use. Joyce Langdale had no male progeny and so gave Houghton to her nephew Rupert Watson, 3rd Baron Manton and the only son of her younger sister. On his death in 2003 his title and the estate of Houghton passed to his eldest son, Miles Watson, 4th Baron Manton. 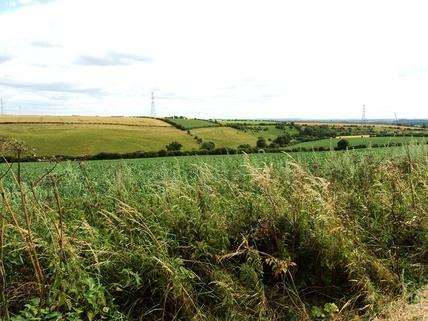 Houghton estate is located in a much hillier region than Carlton, and therefore shows great potential for birds driven over valleys. The ground is conducive to pheasants, and it is quite evident that the birds shown will be challenging to the novice and expert alike. Please keep in mind that this is a private shoot, and Lord Manton was gracious enough to offer us 2 days of shooting. The 200 bird days will offer us a glimpse of what driven shooting was like during the days of invitation only shoots, rather than the large commercial days that the industry is gravitating towards. If you have ever dreamed of reliving the halcyon days of a true Edwardian Shooting Party, do not miss this opportunity, this type of experience is fading rapidly into the past. A short distance from Carlton Towers is the city of York, long considered the capital of this area of Yorkshire. There is so much to see in York, including the Magnificent Minister, Castle Howard, and the city walls themselves, that it would require weeks of tours just to cover York itself. Of this you can be assured, there will be no shortage of wonderful sights for non-shooters to visit. Once we have a firm number on non-shooters, we will arrange a touring schedule, and notify guests of costs. I can assure you that the itinerary will be exciting and varied, with no extremely long rides. Non-shooters are welcome, you will not be deserted while the shooters are away having fun. Due to the unique nature of this exciting venue, a non-refudable deposit of 1/3 of the cost per person is required at sign up, 1/3 by April 1, 2016, balance due by July 1, 2016. PRICES INCLUDE.. Lodging at Carlton Towers for 7 nights, breakfast and dinner each day, and VAT tax at 20%. Shooters will have four 200 bird driven days, based upon a 4 to 1 cartridge to kill ratio, full hot lunch on shoot days. Prices based on 8 guns, and includes cartridges, shooters liability insurance and shooters transport. Gun permits are INCLUDED. NO OVERAGES ARE CHARGED! ALL PRICES AND SPECIFICATIONS SUBJECT TO CHANGE WITHOUT NOTICE AND ARE BASED ON FOREIGN CURRENCY EXCHANGE RATES IN EFFECT AT TIME OF PRINTING, AND VAT TAX AT 20%. THEY MAY INCREASE OR DECREASE. COUPLES PRICES ARE BASED ON DOUBLE OCCUPANCY, SINGLE PRICES ARE BASED ON SINGLE OCCUPANCY. DEPOSITS ARE NON REFUNDABLE, NON EXCHANGEABLE. TRAVEL AND SHOOT CANCELLATION INSURANCE IS HIGHLY RECOMMENDED. NOT RESPONSIBLE FOR TYPOGRAPHICAL ERRORS. TOURS FOR NON-SHOOTERS OFFERED AT ADDITIONAL COST.